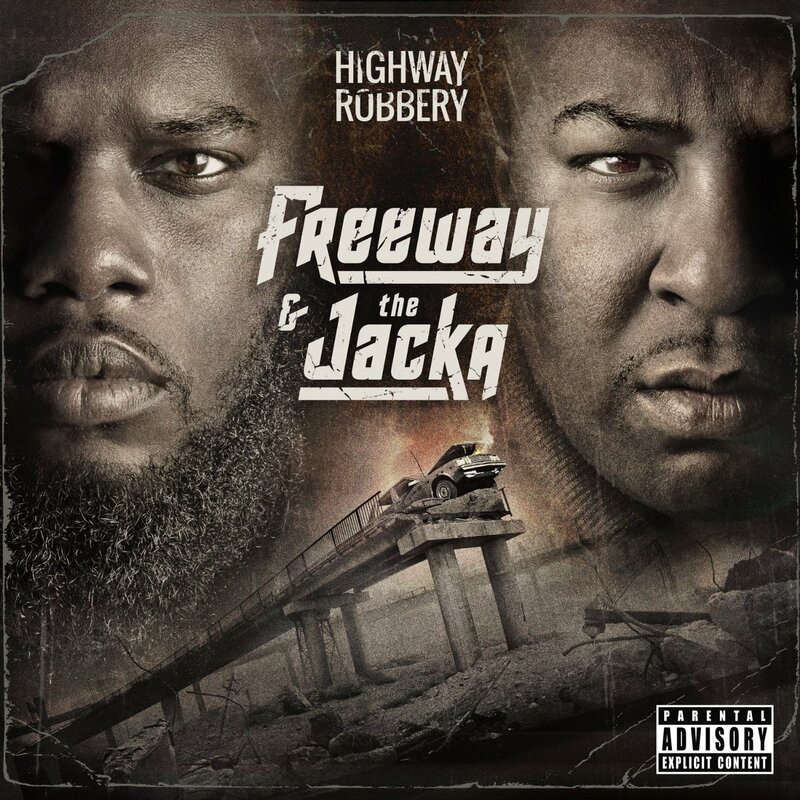 The cleverly titled Highway Robbery is a bicoastal collaboration between Philadelphia native Freeway, best known for his prior association with Roc-A-Fella, and Bay Area veteran The Jacka. Although this is their first official release, Freeway and The Jacka have been making music together for the last six years; 2013’s Write My Wrongs mixtape documented that work while serving as a prequel to their proper debut. It’s been seven years since Freeway released Free at Last, his final album for Roc-A-Fella. He has toned down his signature fiery yelp, providing a more subtle contrast to The Jacka’s melodic old-head wisdom. Freeway has discussed the contrasts between working with a major label and independently; when he spits “Got with Jacka ’cause he pray like I pray” on “Dunya,” his voice makes it clear that this collaboration was a necessary part of fully establishing himself as an independent artist. Freeway and The Jacka are both Muslims, and references to their faith are present throughout the album. Taken at face value, proclamations of faith seem at odds with secular narratives of drug selling and consumption, gun violence, and other indulgences of the flesh (“Shuckin’ and Jivin’,” “Get Your Shine”). But Islam drives their collective conscience and will to survive. “On My Toes” illustrates this dynamic, whether it’s the consequences of losing a drug connect or staying safe when you might get robbed for rent money at the first of the month. 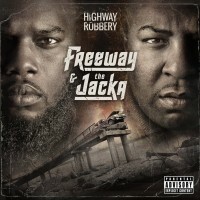 Production-wise, Highway Robbery is an updated representation of what’s worked for them over the years, driven by The Jacka’s ear for a diverse range of beats. Familiar Bay Area names like Jeffro, Young L, and Traxmillion lay bluesy, lush arrangements incorporating everything from soft synth pads to Middle Eastern percussion to Daft Punk (“One More Time”). Highway Robbery is a showing of force from two rappers who may not have much new to say, but offer needed perspectives only those who have lived through it can give. What makes Highway Robbery enjoyable is the chemistry between two dedicated craftsmen.